We popped into Saporitalia for lunch a few weeks after it opened having found out about it via Twitter (thanks @youndandfoodish!). It's a longish, narrowish space with the wood burning oven taking pride of place in the centre. We sat near the windows, as the sun was shining, and peered wistfully at the antipasto array opposite us. The friendly Italian staff dropped off some complimentary bruschetta to nibble while we checked out the menu which offers the traditional Napoli toppings (marinara and margherita) as well as some variants that might make a pizzaiolo get hotter under the collar. Saporitalia doesn't stick to the Napoli pizza dogma in regard to toppings, but it does respect the tradition when it comes to the pizza dough which goes through the same proving technique you would expect in its homeland. While we were making up our mind on what to order, the table behind us had theirs delivered. The pizza they shared was enormous! The antipasto would have to wait for another time, so we just ordered two pizzas. I went with a marinara, so I could compare it to the one I had at Da Michele, and Mr B went with a vegetarian version with grilled peppers and whole tomatoes. When they arrived shortly after, I was impressed. The crust was much thinner and crispier than the Da Michele pizza I had in Naples. That's partly because Saporitalia is not a carbon copy of a Napoli pizza. But the flavour of the crust was comparable and is just something you rarely experience in London. The toppings were simple but delicious. Maybe it's the holiday meal memories talking, but I preferred the Da Michele marinara over the one at Saporitalia. The tomato sauce didn't have the same deep flavour of its cousin from Naples, but this is London and not sun kissed Italy. 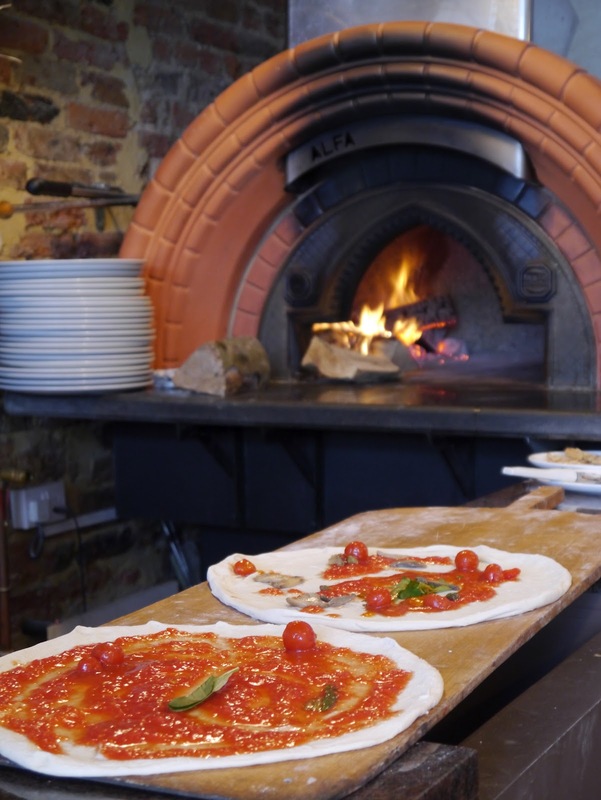 There are now lots of options for pizza in the Notting Hill area. I prefer Saporitalia to Pizza East, which while a great looking venue, is a bit too pram-friendly for my liking. When I visited Pizza East I felt shoehorned into our small table there and brushed arms with neighbours and their offspring more than I would normally like. Saporitalia had a lighter feel to it, but maybe that's because we were by the front window. There's more to the menu than pizza at Saporitalia, which means I'll be returning and soon. I want to try the pasta dishes, and that delicious looking antipasti. 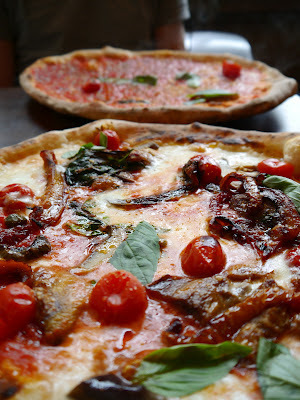 For an easy meal with some good pizza in the Notting Hill area, Saporitalia is definitely one to keep in mind. They're so friendly there, I'm sure they will even find space for your pram.